Tetanus is caused by the action of Clostridium tetani toxin upon the central nervous system. The toxin increases reflex stimulation of the motor neurons by functional blockade of the inhibitory neurons. This leads to the typical telanus symptoms of rigidity and reflex spasms. 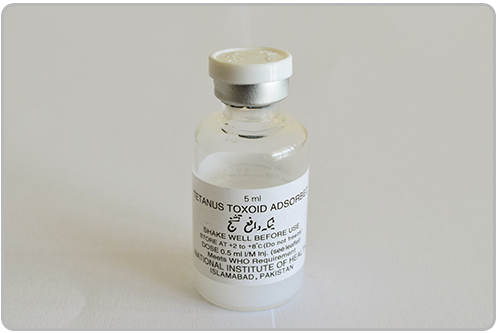 For active immunization,the tetanus toxin is converted into a non-toxic toxoid which remains fully effective as antigen. The active potentialis increasedby adsorption onto an aluminium adjuvant.